Happy New Year! It's the first challenge of the NewYear after our wee break so today over at Daring Cardmakers is Elemental day - choose at least three elements from the inspiration picture to kickstart your creation. 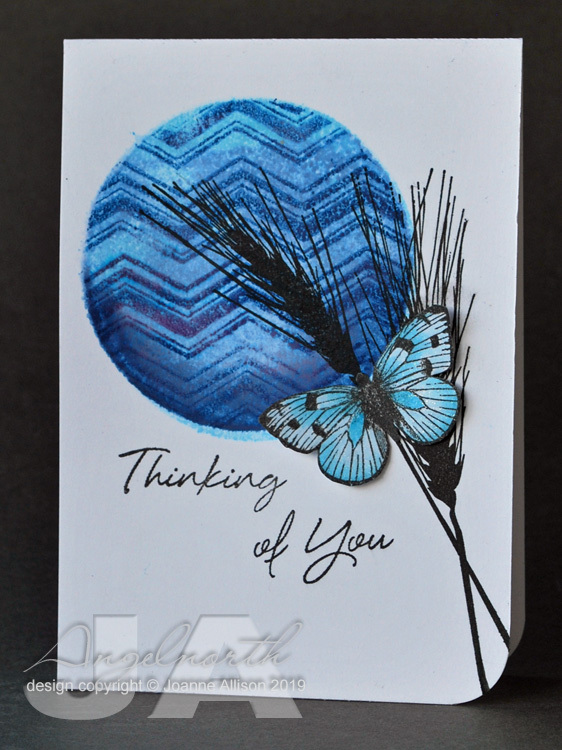 I chose the butterfly, grass stalk, chevron pattern and the blues/aquas from the colour palette. I got a pack of Gel Press Petites for my birthday and had a first play here with the circle one - I just used it a bit like a big stamp to layer up the inks and then add the chevron pattern by stamping onto the gel plate itself before transferring to the paper. It made it really easy to line up the repeat pattern (it's a border stamp). 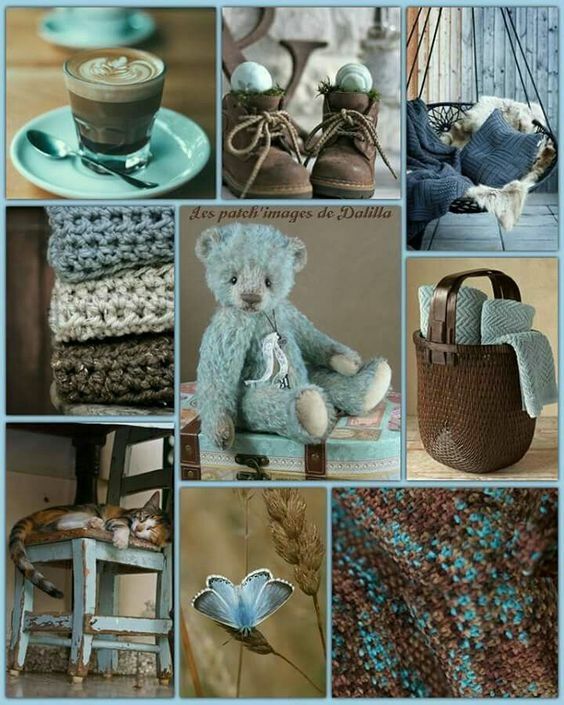 Here's the lovely mood board we have for our January inspiration. The choice of the blues in the circle feels like sky to me. Awesome take on the theme, Joanne! I love all your shades of blue and the chevron circle is so beautiful. So now I need to get out my own Gelli circle and have another play with it. Great choice of elements and put together perfectly. Love the geli circle, I have been playing with my plates this week too, great fun.